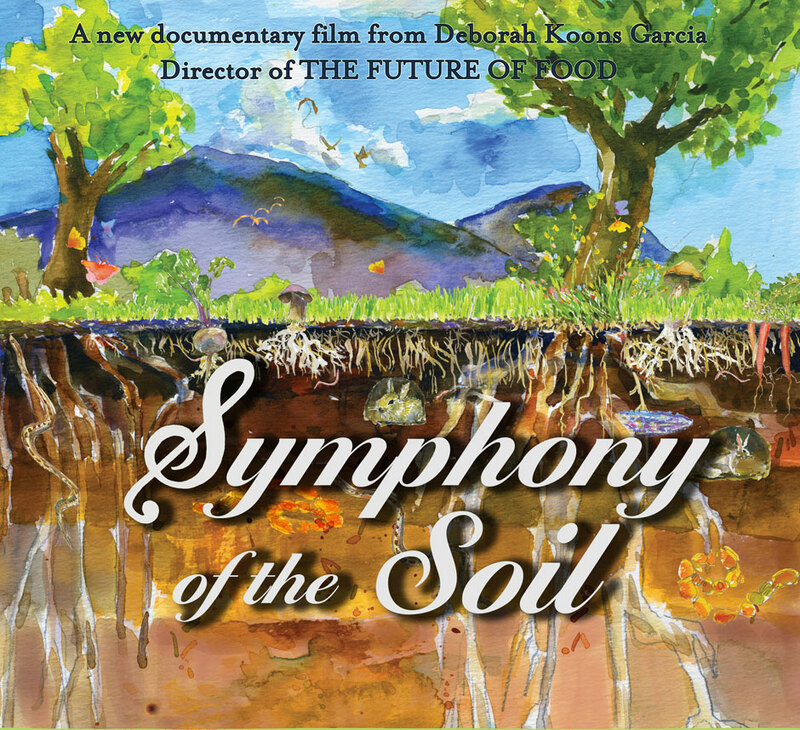 If you dig dirt, you will adore the gorgeously shot and nerdily nuanced documentary, “Symphony of the Soil.” The film puts a close ear to the ground, capturing the notes that compose the very earth we live and depend on. Hitting stunning, sobering, and truly hopeful (hint: COMPOST!) moments, “Symphony” skillfully traverses the troubled terrain faced by the planet’s soil climates. The film is a great meditation for green geeks, foodies, farmers and anyone who loves playing in the mud. I caught up with Producer/Director Deborah Koons Garcia (of “The Future of Food” fame) for a quick chat on soil, cities and female farmers. Here are the highlights! Q: You often use the term “soil blindness” when talking about our relationship to soil. What does that phrase mean to you? A: What that really means is people look at soil, they walk on it, or they have it in their hands and they just don’t see it as something that is alive. They don’t see that it is complex, the result of an enormous number of processes, that there is a lot of stuff going on in it and there is a lot of stuff going on because of it. In America, because a lot of people live in cities or suburbs where there is often mono cultures of lawns and things like that, they are just removed from understanding the processes that go on in the soil. Q: I live in New York City. How do you suggest we better connect people in urban spaces to soil? A: New York is a really interesting situation. There is so much going on with the composting, the urban gardens, window boxes, especially driven by a lot of young people. Some of it has to do with a food base: they want to know where their food comes from, and they want good food. But a lot of it is just increased awareness that we are connected to the earth. There is so much great land up in the Hudson River Valley, New Jersey. There is a tradition in New York of really being close to where their food is grown and an appreciation of it. And also it used to be, and it’s now coming back, lots of communities, black communities, communities from Central and South America, who immediately put in gardens wherever they were. You really feel there is a whole history there. I think that’s the beginning of soil awareness. What’s pushing the new soil awareness? I was in college in the late 60s and we were all hippies wanting to drop out and live off the land. Back then, it was drop out of the dominant culture and create a counter culture and grow your own food. The idea was the corporate system would kind of fall away, but it didn’t work out that way. [laughs] The corporate system actually got a lot stronger. [These days], I think that younger people have a craving. A lot of people that would go into the financial industry from ivy league schools just don’t want to do that any more. There isn’t a lot of high status in going to work for Goldman Sachs any more. And good for that! I think that’s a good move. And the opposite of all of this financialization, which is symbolic thinking on an extraordinary scale, is actually getting your hands in the earth growing something. There is obviously also fear about what the future is going to bring. We see how insecure it is, so I think they want security, they want a sense of community, they want a sense of independence. Not like my generation did which was this sort of drop out thing. [Today’s young people] drop in. To stay part of it. They know that if they have a piece of land, they can grow their food and grow food for their neighbors. They want some sense of security that they can take care of themselves and they aren’t completely dependent on the store down the road. With the financial downturn, a lot of these people don’t have jobs or have the kind of jobs they thought they would have. In some ways they have ended up with a more satisfying job that they created themselves. It’s really heartening. Things are shifting. I think part of this insecurity we are facing with “What is the government and corporate state doing?” — it’s an antidote. I think it’s great these young people aren’t falling into a funk and spending all their time on video games or whatever, but actually getting out there and being part of the solution. And a lot of this new small farming movement is led by women. Interesting! Do you see the current farm movement happening along gendered lines? It’s funny because a lot of the organic farmers who went back to the land in the late 60s were men, or they were couples. Traditionally, the man thinks of himself as the farmer and the woman thinks of herself as the farm wife. They are both farmers, but that is how they think of it. Now, there’s lots and lots of women doing this farming thing. Women in Iowa, women in North Dakota, tons of women doing it in Maine. And where there is a couple or partnership, the women are part of the partnership. Instead of the farm wife, they are a full partner. I think that women think maybe more about what quality of life they want. The young women I know who are interested in living on the land, whether they get one hundred percent of their income from farming or whether it’s supplemental income and they have another kind of job, they think: How do I want to raise my children when I have them? Do I want to have them in day care 10 hours a day? They don’t. Women have a need for independence in the system, the idea that they can feed themselves and have a farm and that’s their farm and nobody can take it away from them. Q: Are there everyday acts or choices we can make to help better connect us to understanding the soil? A: Composting is the recycling of our era. It used to be in the 70s, a lot of kids embarrassed their parents into recycling and now, everybody is composting. I also think, whether people have a garden or a window box or not, the other thing is thinking: Where does my food come from? How is it grown? Who is growing it? Is this bag of chips something I want to eat? More and more people being serious about what they eat involves really understanding what, where, does that food come from. Got your own soil story to share? Tell us below in the comments! The Book on Composting: Compost City! Thank you for checking out my blog! If you have suggestions for future posts, would like to share information about your eco-minded group, project, or business, or simply want to say hi, please feel free to drop me a line! Copyright 2014 | The Compostess LLC	Create a free website or blog at WordPress.com.